We Wanna Eat That 2,800 Pound Steer ... in the Name of Sports!! Scoffs at Retirement Talk ... I Want Kobayashi! 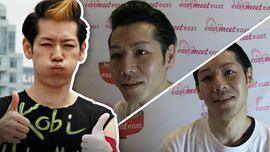 Kobayashi INHALES 69 Hot Dogs -- The VIDEO!